Fake Facebook Accounts is Proving out to be a new Trend on Facebook. Probably 20-30% of total Facebook Accounts are fake or even more, This Number is Anticipated to be Increasing in Future. Fake accounts on Facebook are mainly Created with an intention to Spam all over Facebook and Spread Virus. Many people Create Fake Girl's Profiles to Dupe Some innocent Fb Users too. Its Sad that Facebook Can't Identify Fake Facebook Account and Delete them all Manually,and One Should not expect it from Facebook because of obvious Reasons. But yes they will Definitely Block your account if you send lots of Friend requests to Unknown People and if you post or Comment Spam Links over and over again. Facebook Catches you and then next time when you try to Login again, it asks you to Identify Photos of Friends, This is where Fake Account Users Get Caught. 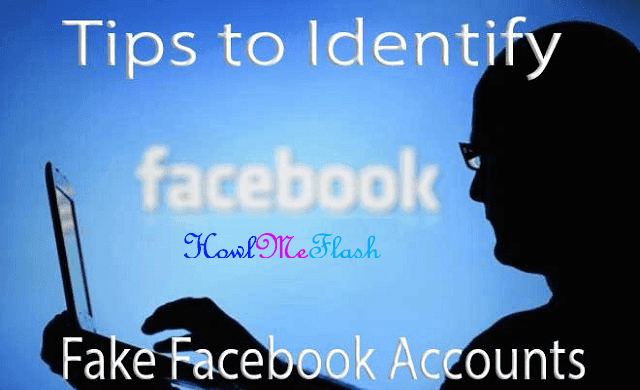 But This Don't Stop Spammers to Create another Fake Facebook account, So in this article we will Discuss Some Tips that will Help you to Identify Fake Facebook Account easily, So that you don't fell in their Traps, Report that Account to Facebook which will Help to Make Facebook Safer to all of us. The Facebook timeline of a Facebook accounts says a lot about that Profile. Most Fake Profiles have "Female" as a gender, this doesn't Mean all fb accounts with "Female" Genders are Fake, There are many other things to Identify Fake Facebook Account.